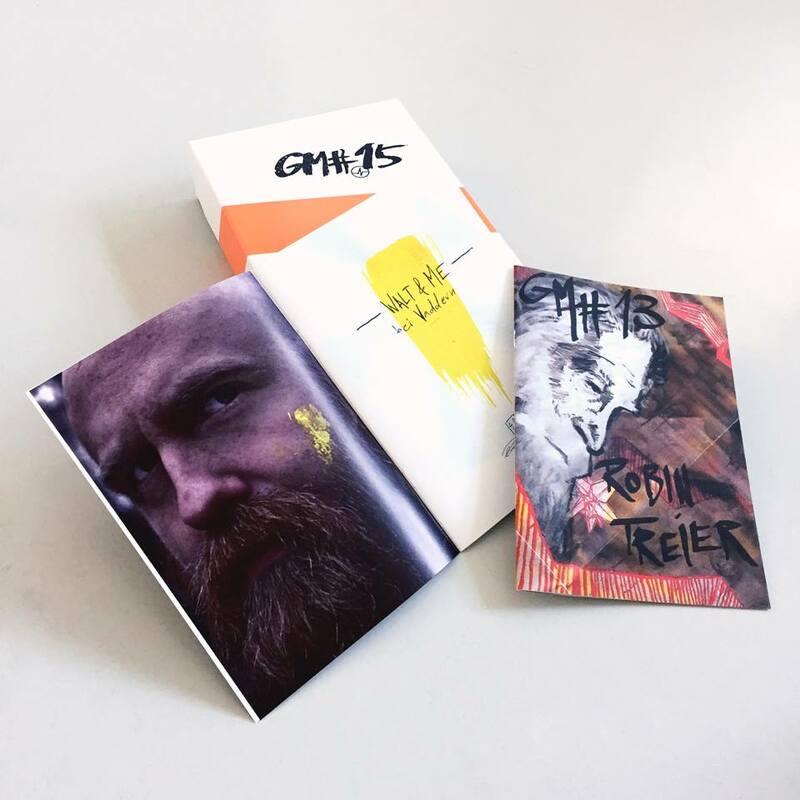 “GM#15” boxed book in loose interchangeable chapters. Designed by Robin Treier to document the group show “15 jahre grossartige momente”, hosted by Pulsmacher, curated by Robin Treier. Mixed media, 2015. 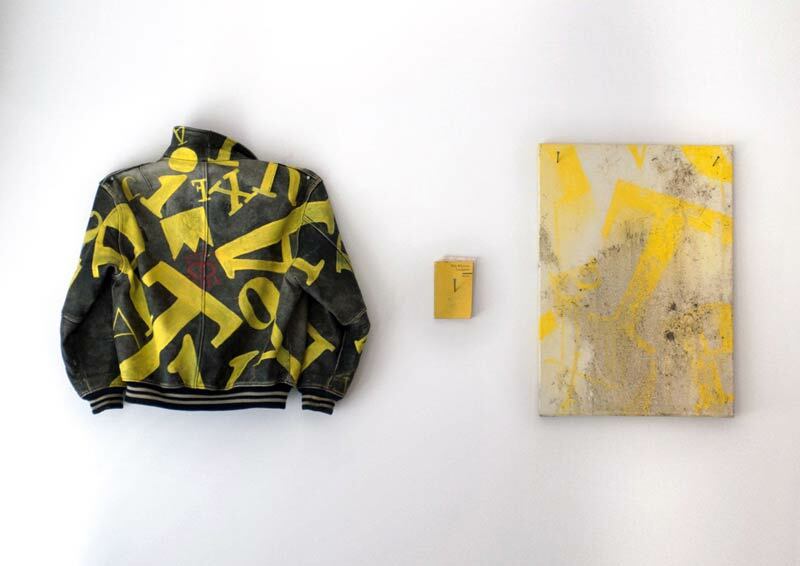 Installation made of painted-on old pig’s leather jacket that once was gifted, a personal old issue of Walt Whitman’s “Leaves Of Grass” (and mud) and a painting of acrylic and mud nailed to the wall. 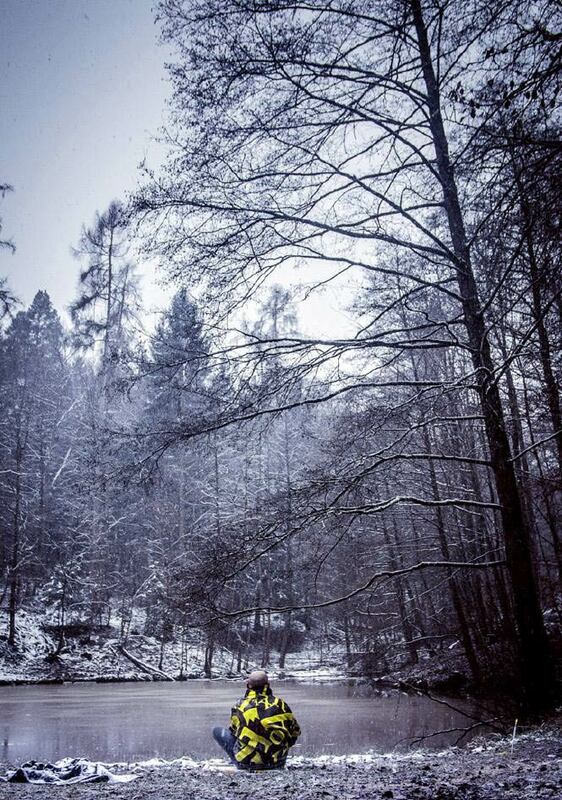 All pieces of this installation were affected by the happenings captured in the underlying short film, shot on location in Stuttgart’s Geroksruhe forest in Winter 2015. The installations parts where crafted there, as well as a read-through of the book.